Here is a terrific survey article by Melboune scientists Richard Roush and David Tribe – posted at The Conversation. 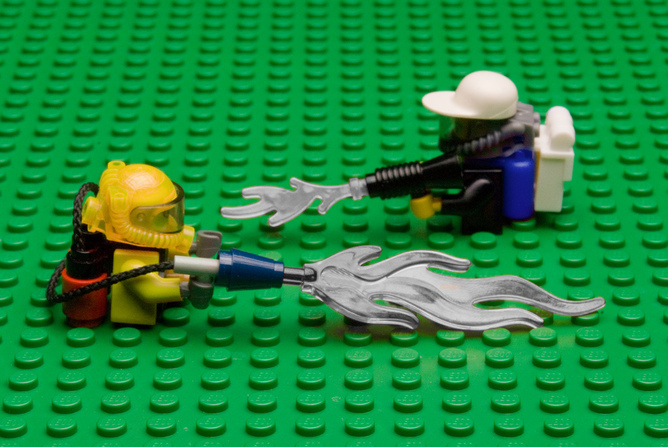 Genetically modified crops have allowed pesticide spraying to be reduced by almost half a million kilograms in the last 15 years. Recent news reports claim one in ten Australians believe the world will end on December 21, 2012, based largely on internet gossip about the meaning of ancient stone carvings from the Mayans of Central America. Such is the disturbing power of frightening myths to influence human belief. No wonder modern apocalyptic mythology about agriculture, sinister stories about pesticides and assertions that genetic engineering of crops break a biological taboo find a very receptive audience, especially among those who don’t ever go to a modern farm. In truth, there’s a lot to feel good about in the way modern agriculture is shaping up to the big challenges of the present – reducing carbon emissions, preventing soil erosion and minimising any environmental damage by herbicides and pesticides. One of the most significant crop management improvements in recent times has been the increasingly common practice of sowing seeds by direct drilling them into the stubble of the previous season’s crop. This approach forgoes a massive amount of soil tillage with the plough. Such minimum-tillage orno-tillage farming means that much less diesel oil is used in tractors and carbon levels can buildup in the soil rather than be released to the atmosphere. It’s been estimated that the carbon emission savings from introduction of genetically engineered crops that encourage no-till farming are equivalent to removing 19.4 bn kilogram of carbon dioxide from the atmosphere worldwide. This is equal to the carbon emissions savings from removing 8.6 million cars from the road for one year. Minimal tillage farming also has several other benefits, such as better moisture retention in the soil and reduction in soil erosion. Genetically modified insect protected cotton on the left, next to a closely related conventional cotton variety on the right which is showing the damage from heavy insect feeding pressure. Greg Kauter, Courtesy of Australian Cotton Growers Research Association Inc, Narrabri, NSW. Modern crop genetic engineering has provided farmers with much better crop variety options for use in no-till farming. One of these is crops that are tolerant of the herbicide glyphosate. This is the most widely used types of GM crop. Glyphosate-tolerant crops include soya beans, canola, cotton and maize. Glyphosate has much lower environmental impact than chemicals such atrazine, which it replaces. Unlike atrazine, which is banned in the European Union, glyphosate is relatively rapidly degraded in the soil and does not easily leach into water run-off to river basins. Insect pest management has been completely revolutionised by the introduction crops with built-in insect protection added using modern gene technology. These include insect-protected cotton, which constitutes almost all of the Australian cotton crop, and insect protected-maize, which is widely grown around the world. An important benefit of this development is protection of farmers and their families from accidental poisoning when spraying crops with synthetic chemicals. 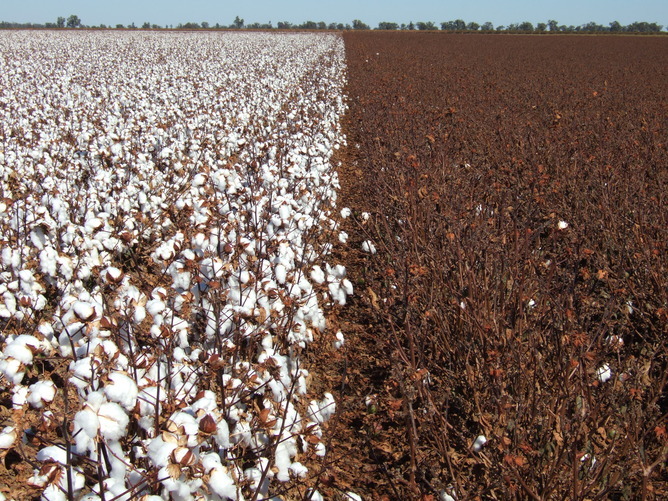 Another benefit is the elimination of synthetic chemical run-off into river systems, which is the big success in the switch of Australian cotton growers to genetically-manipulated cotton varieties that started fifteen years ago. In Australia, genetically engineered cotton has reduced synthetic chemical spraying by about 80%. Worldwide it’s been estimated that in the period 1996-2010, biotechnology crops have allowed pesticide spraying to be reduced by 438,000,000 kg. This saving is equivalent to the pesticide active ingredient used in all the arable crops in the European Union for one-and-a-half crop years. Ongoing scientific work being carried out in both the public sector and in biotechnology companies is generating options for further improvement of the environmental footprint of farming. New methods of insect protection, which can be stacked within one crop to give multiple layers of safeguards against insects, are now available. This reduces the chances of insects evolving resistance to the crop protection system and such methods are being used to achieve sustainable pest management for the long term. We have largely emphasised the environmental and human health benefits provided by crop biotechnology and outlined how the environmental footprint of pesticides is being significantly reduced using modern methods of gene technology. But pesticides are used because they improve crop yields, and the assurance of more reliable crop yields provided bydeployment of modern crop biotechnology is becoming increasingly appreciated by food policy experts because of looming insecurities in global food supplies. Hopefully, readers will realise that most of the sinister prophesies circulating about crop genetic engineering are as useful as the current myth that Mayan hieroglyphics say the world will end in December. This entry was posted in Agriculture and tagged Anti-GMO, GE-Food, GM-Food, GMO by Steve Darden. Bookmark the permalink. What about using a very old fashioned but effective technique, i.e., crop rotation? Planting only one crop year after year in the same place has exacerbated pest problems. I’m not necessarily objecting to all GM crops, but I do not see it as entirely risk free. So far as glyphosate resistant crops are concerned, probably the weeds also will become glyphosate resistant after which the advantage of glyphosate resistant crops will be lost. No-till farming seems to be a good idea, but it should be combined with crop rotation. Why not use GM techniques to design maze and cotton to fix their own nitrogen? Or would companies object to that because it would reduce their sales of nitrogen fertilizer? Although I do see the source as having questionable reliability, I do think that the article should be discussed and the claim evaluated. Interested in correcting misuse of biology, helping people benefit from innovation. I teach courses in food science, food safety, biotechnology and microbiology at the University of Melbourne. My Bachelor Degree is in biochemistry and my Ph.D. applied molecular genetics. Thesis topic — production of an animal feed supplement using genetically manipulated bacteria.—My recent publications have been on epidemics caused by bacterial pathogens, published in high-ranking journals. My current area of research is food risk analysis and management. The most important of these risks are microbes in food and microbial products that are toxic.